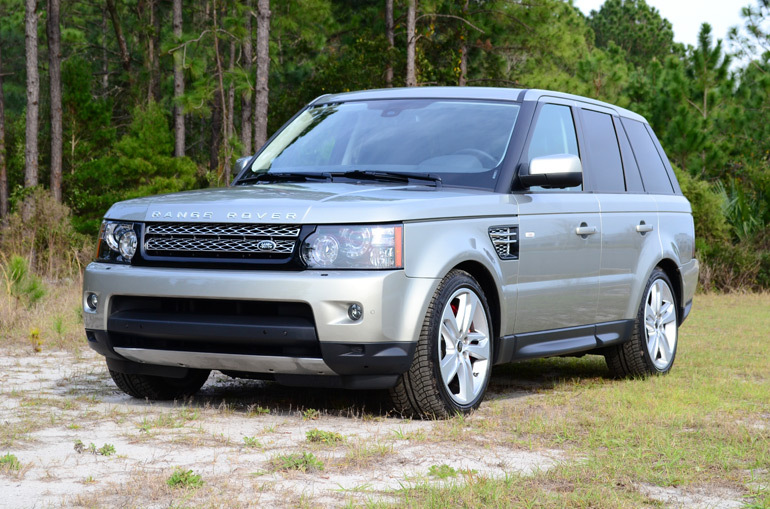 As one last hurrah for the current Range Rover Sport model, the 2013 model carries its finely aged design well yet still touts its historic off-road go-anywhere on land prowess. The Range Rover Sport embodies a road-going presence that puts itself into a desirable category among fast-moving cities without the much need for using its in-tact off-road capabilities. The latest version, just before the introduction of a redesigned model, still has what it takes to turn heads and transport its precious cargo on and through just about any navigable terrain you can throw at it. 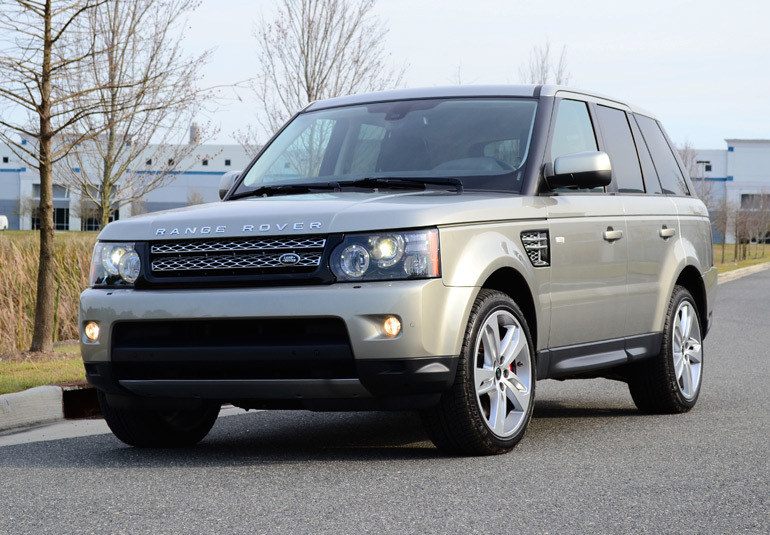 Exuding luxury appointments in its finely crafted interior, the 2013 Range Rover Sport takes the normal Range Rover up a notch in the visual excitement and fun factor categories. 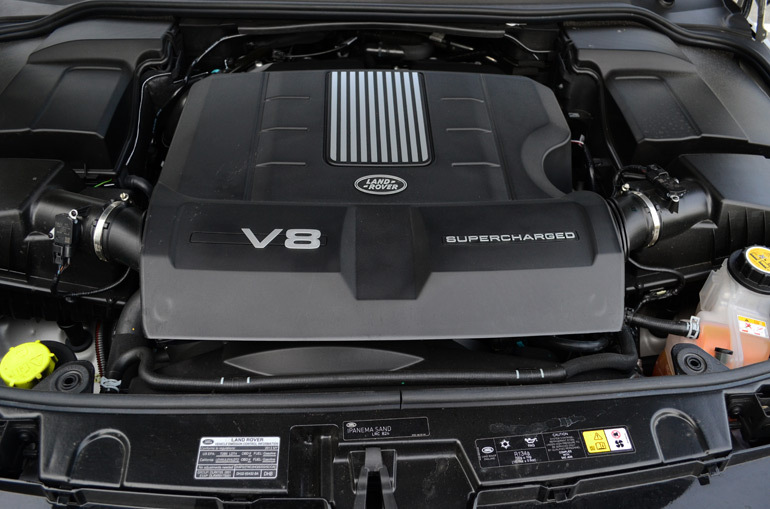 The visual sports appeal of the Range Rover Sport does not end with is finely chiseled body or leather-laced cabin, it carries into the drivetrain with a 5.0-liter V8 boasting 375 horsepower and 375 pound-feet of torque in the HSE trim, while my Supercharged trimmed test vehicle gets a supercharged version of the V8 allowing you to play with a full deck in the form of 510 horsepower and 461 lb-ft of torque. 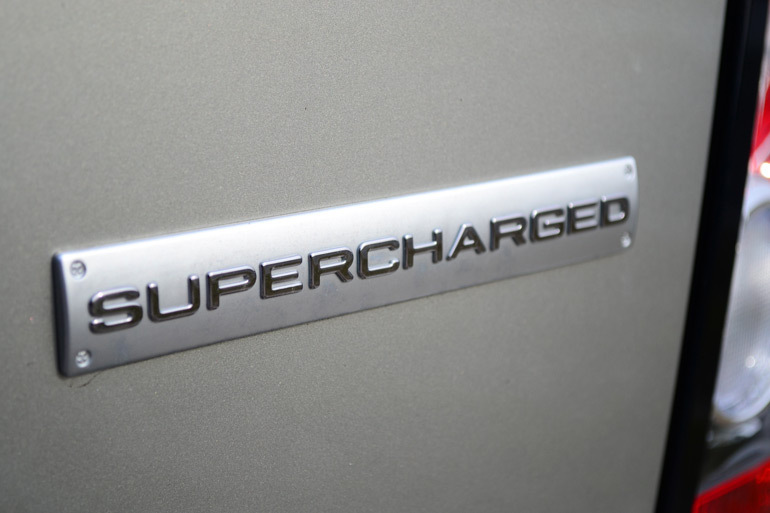 The sport really shines through the Range Rover Sport Supercharged getting more than enough all-wheel-drive power to scoot the tall-statured SUV to 60 mph in just 5.2 seconds. 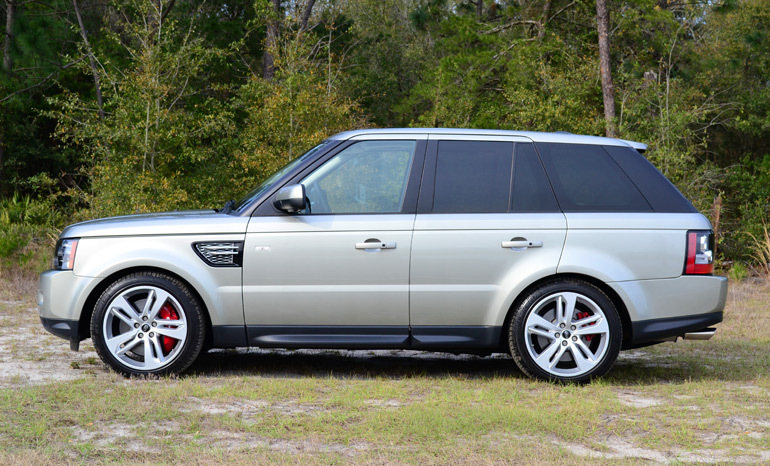 In the handling department the Range Rover Sport Supercharged puts forth its best effort of the optimized air-suspension system. The trick suspension system, quite characteristic for Range Rover models considering how off-road capable they are, has a full array of settings. Starting off in normal mode the suspension is dialed in for paved roads and highway travel. A Dynamic mode tailors the chassis for better throttle response, advanced 6-speed automatic transmission shift mapping and tighter handling by putting the dampers into an aggressive setting. The Terrain Response System’s other settings adapt well to rock, gravel, snow, mud and dirt at the turn of the selectable dial on the center console. 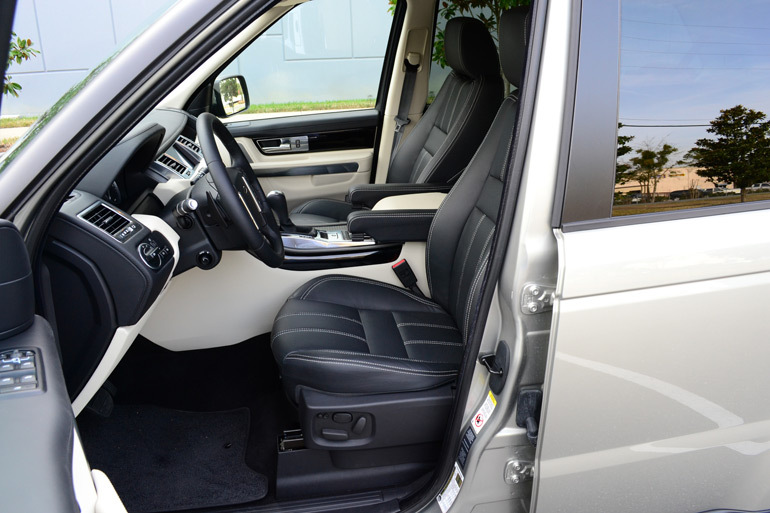 Being that the suspension is height adjustable, you are able to manually dial in the vehicle height from a low-riding access height, which is available at low speeds in preparation for parking to give the driver and passengers easier access. The normal height is automatically selected should you drive off while in access height. 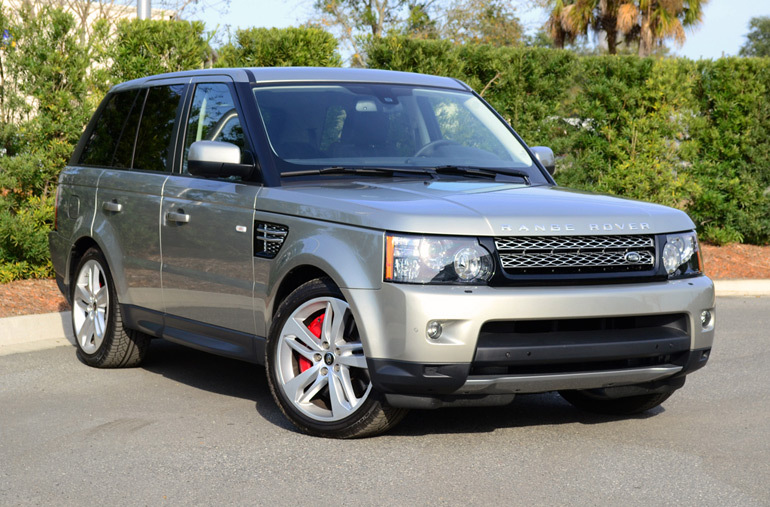 You will want the system to select the normal height as the suspension travel is diminished giving the Range Rover Sport a bouncy and uncomfortable ride while at access height. Also selectable at low speeds, is the higher settings of the air suspension and Terrain Response System, raising the Range Rover Sport several inches for optimal ground clearance. 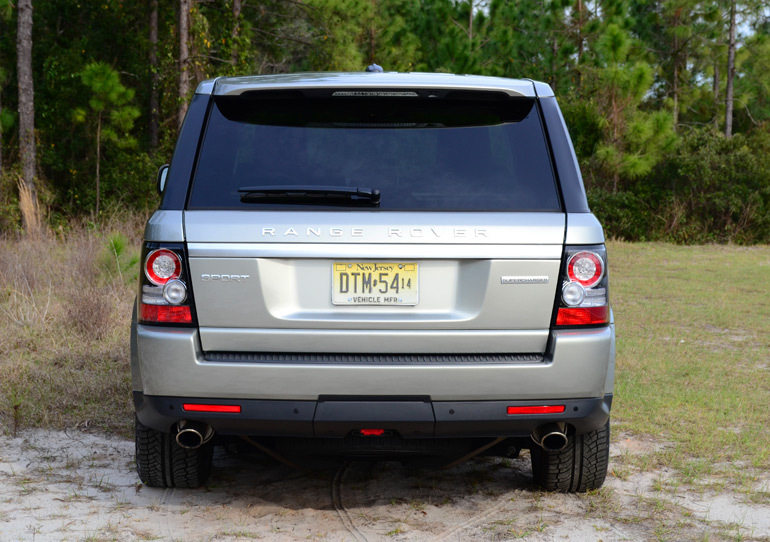 The off-road capabilities, being that the Range Rover Sport has an much more aggressive road-going demeanor from the normal Range Rover, do not diminish despite its Sport title. 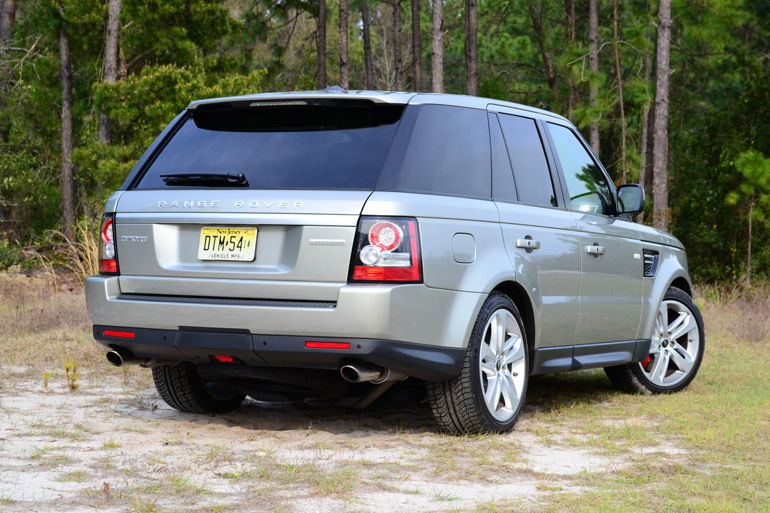 The Range Rover Sport is still able to plow through about 27-inches of water thanks to waterproofing of the electric engine components, pulleys, starter, alternator and air conditioning compressor. A lot of the behind-the-scenes engineering of the Range Rover is not fully experienced until you really take it to less-frequently traveled parts of the earth. 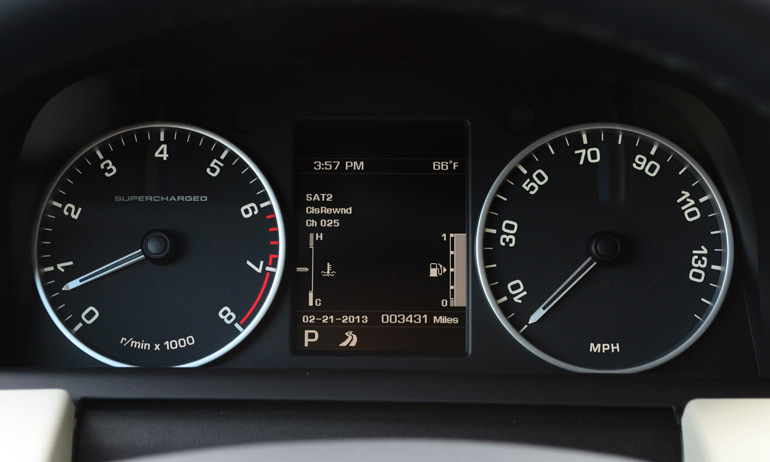 Though at a cost, the road-going handling and lateral acceleration confidence is diminished by the feeling the Sport’s hefty body weight when you really put the Range Rover Sport to the test on paved roads. 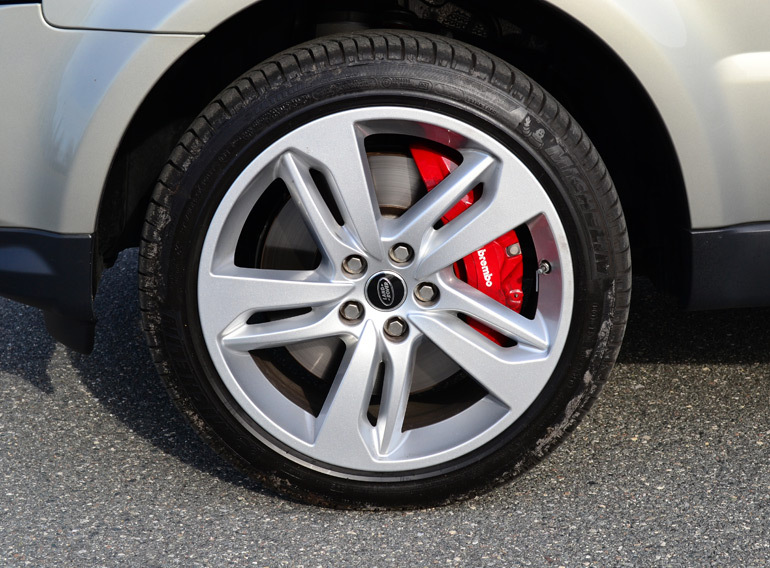 Although, the beefy Brembo brakes, 20-inch wheels and low profile Michelin tires really come to the rescue for good ride quality and handling of the Sport weighing in at 5,816 pounds. 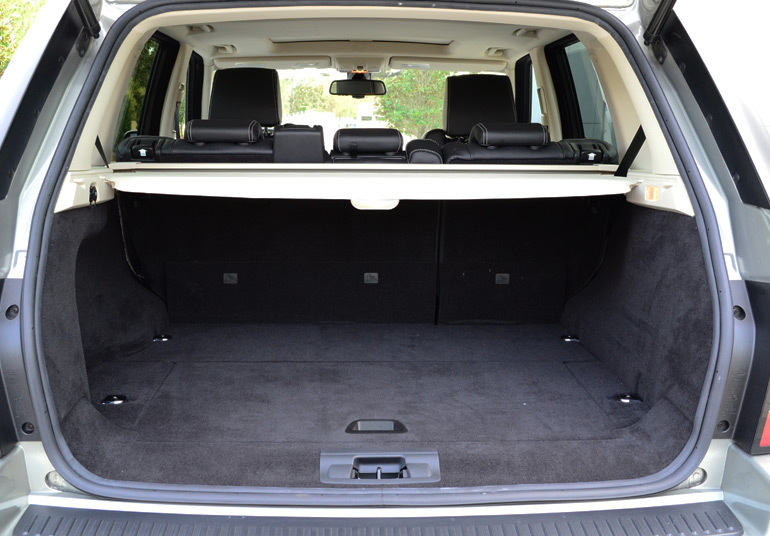 Inside of the Range Rover Sport is a cabin plush with leather. The seats prove to be quite form-fitting with just the right amount of bolstering. Controls on the dashboard, mostly carried over from other Land Rover and Jaguar infotainment units, is an aesthetically primitive setup. Some of the fittings and initial quality perception of interior parts lack much attention to their over-all fit and finish. Some of the infotainment and navigation controls lag, but prove to be predictable at best once you get used to its shortcomings. Over-all interior space is a bit short, though tall individuals will have ample head room. 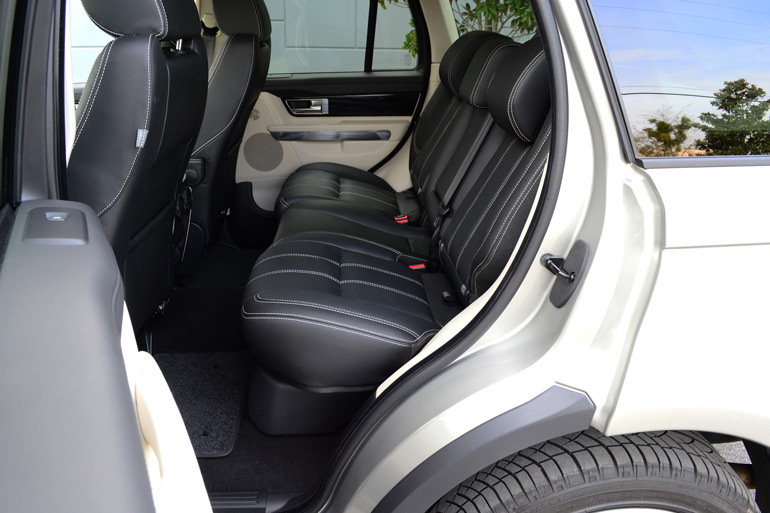 Do not expect tall occupants to have room to really spread out in the front or back. 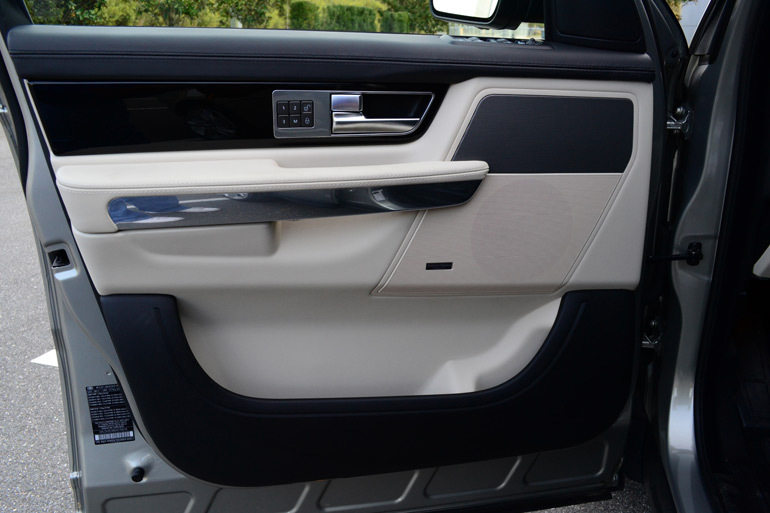 The front seats are overwhelmed with a massively sized center console, while the rear passengers will struggle if they are expecting to find room for long legs. 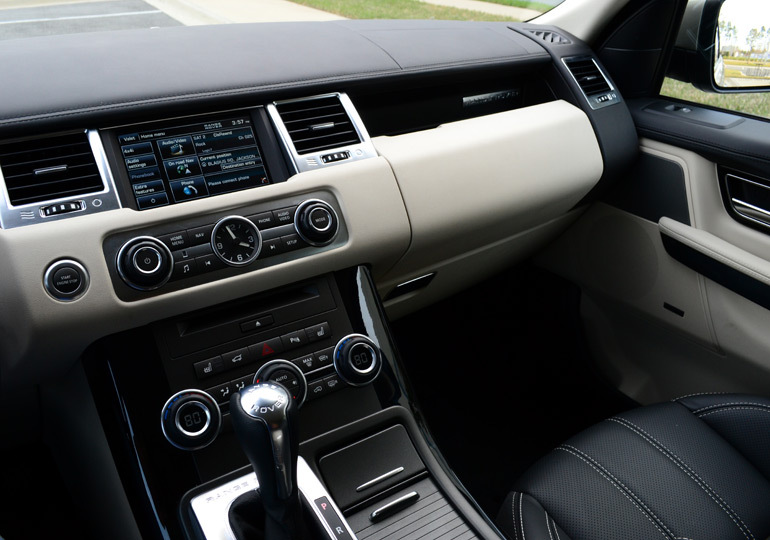 Although the interior of the Range Rover Sport is inviting at first, it is a questionable obstacle to find comfort over long hauls. The Range Rover Sport has plenty of gadgetry to put it at the pinnacle of fun-sporting on rough terrain and on the road. 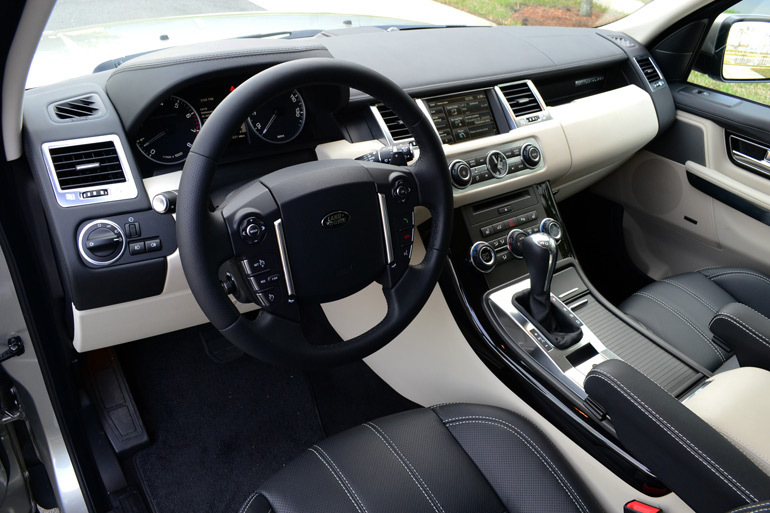 The Vision Assist Package, equipped on my Range Rover Sport test vehicle as a $1,200 option, adds a series of 5 cameras (2 front bumper, 2 under the rearview mirrors, one rearview) that operate at any speed. The system is probably best used for tight parking spots or carefully navigating challenging off-road trails. 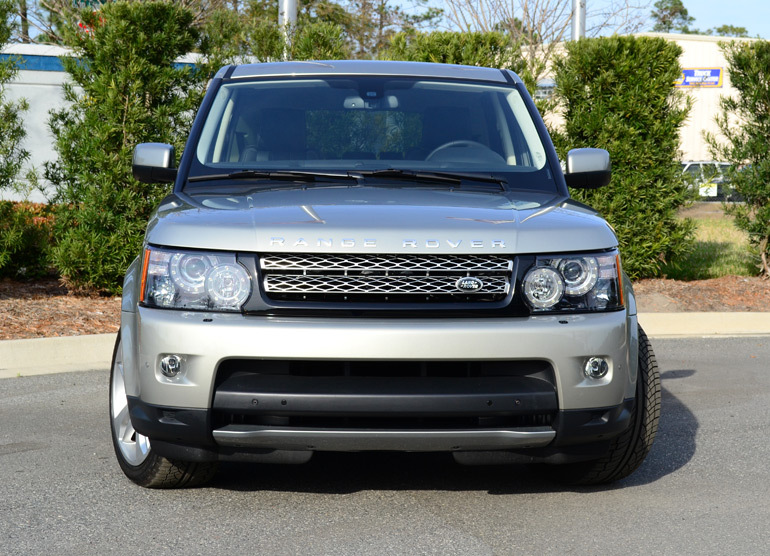 In all, the 2013 Range Rover Sport is a luxury statement that does not disappoint in all that you expect from a long lineage of off-road-going vehicles that transport their cargo in style over various types of terrains. The Range Rover Sport, with its gallant dash of forward-moving athleticism, makes an even bolder statement on the road where it can “quickly” take its occupants to the ends of earth in style. 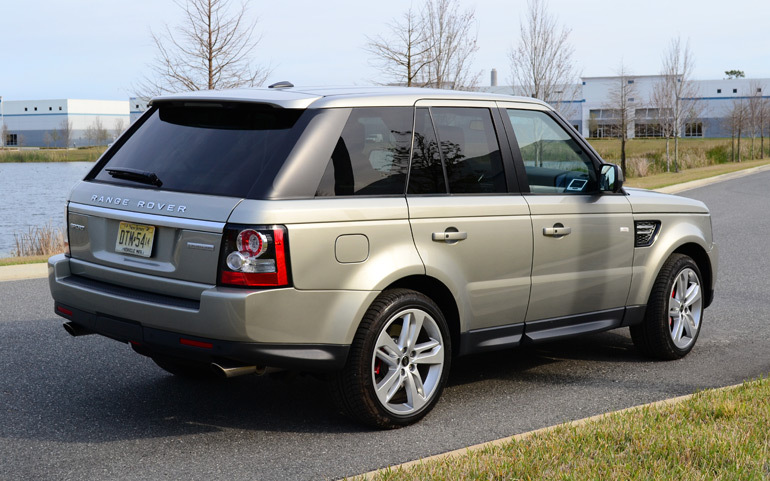 The style, luxury and performance of the 2013 Range Rover Sport does come at a price, one that starts around $60,045 for the HSE trim and moving quickly towards $80,000, $79,645 to be exact, for a loaded Sport Supercharged model. EPA cargo volume all seats in place: 33.8 cu.ft.